I have been busy testing my new class to see how many letter sounds they remember from Junior Infants. It ‘s a mammoth task but very worth while. I created these cute and incredibly useful sheets for easy testing. Please click here to download both. I laminated them and punched them so they can be kept in my ring binder for ease of use. Incidentally, the sound sequence matches the letter sound introduction pattern used by Jolly Phonics. I thought that it was about time that I created a recording sheet to directly correspond with it. I have added some explanations to the image below to help you use the sheet to it’s full potential. These obviously will not appear on your copy! I prefer to tick only the unknown when testing children. It makes it so much easier to read scores at a glance. It also allows you to concentrate more acutely on the child and to document the difficulties that he/she has or the incorrect responses made. It is also easier on the hand when you have lots and lots of children to test ;). 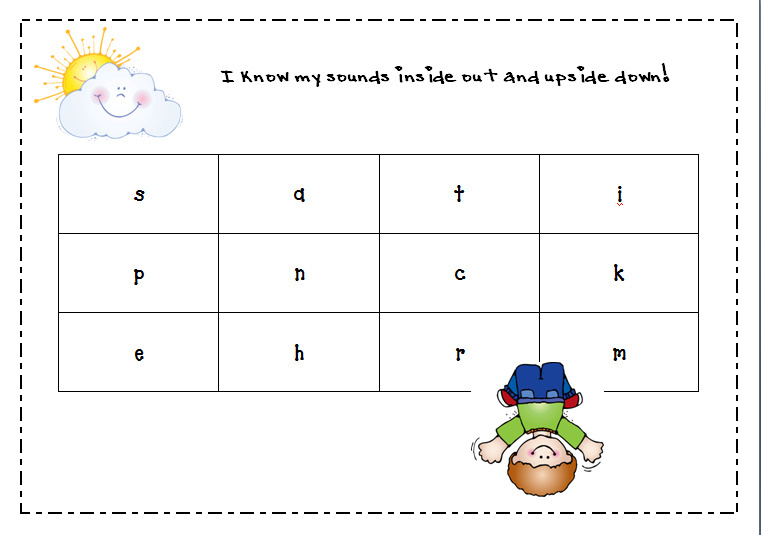 I will be creating similar test sheets for digraphs over the coming weeks. 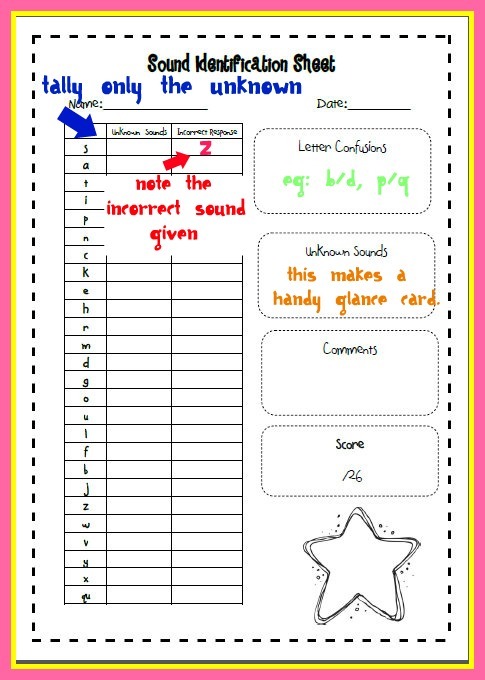 I think that these sheets are equally useful for parents and teachers. We both have to keep track of how well children are doing and to figure out what sounds to practice that day. By the way, only revise/teach 3 sounds at a time regardless of how many your child did not know. If possible separate out the teaching of those that they reversed eg b and d.
How do you keep track of scores? Have you any clever tips that you could share with us?